These pei-bies have been together since they were pups, from what I understand. It would be nice to adopt them to the same home. very sweet and both are about 17 inches tall. Both are sables and in good health. Max, the male, is 7 years old and Cookie, the female, is about 5 years old. 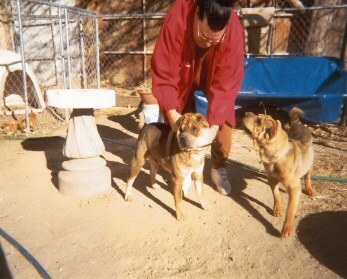 Max and Cookie .. need to find approved homes ...They live in CA at the present..